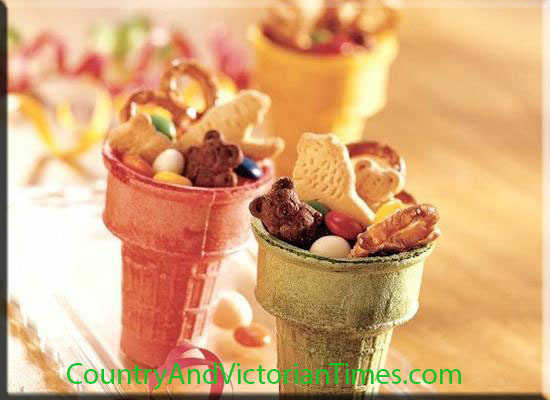 Use colored ice cream cones to serve up small portions of goodies the next time you have company over. They are a fun conversation starter and the vessel becomes a snack too. That means you have nothing to clean up afterwards. It will surely put a great big smile on your guests faces. This entry was posted in Recipes, ~Holiday, ~Party, ~Snack and tagged cone, conversation, cream, goodies, ice, portion, serve, small, smile, snack, Snacks, starter, treat, treats, vessel. Bookmark the permalink.